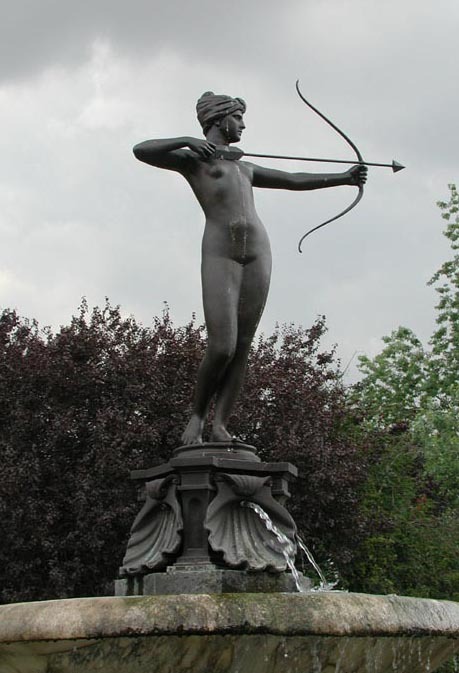 Diana from the fountain in Kensington Gardens, London, by Lady Feodora Gleichen. The Fatal Hero: Diana, Deity of the Moon, as an Archetype of the Modern Hero in English Literature is the first study to identify the existence of a dynamic, new female hero in the novels of the last two centuries. The model for this new heroic type is the goddess Diana, and I have discovered that this type, the Diana-hero, exists in scores of works throughout the literature of the Romantic era to our day. My analysis seeks to open new vistas on the novels of Charlotte Brontë, Nathaniel Hawthorne, James Joyce, Henry James, George Eliot, and Edith Wharton, authors whose texts offer rich and complex models of the new Diana-hero. Under careful consideration is the unique line of metaphoric development that each author undertakes with his or her Diana-hero, and the manner in which each author's original creation becomes one in the kaleidoscopic Gestalt of Diana-heroes that comes to exist in English literature. 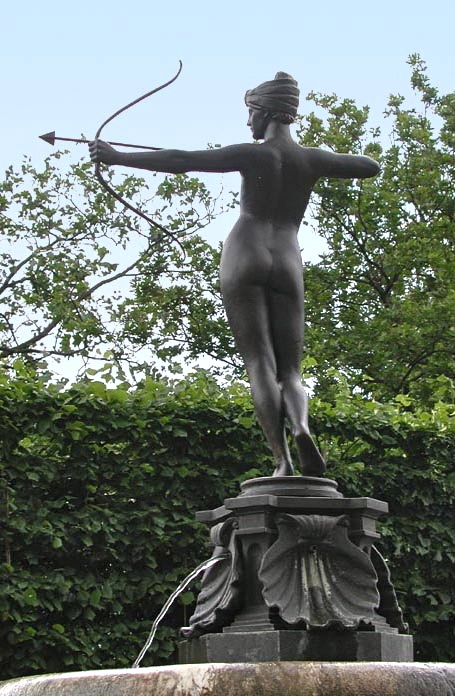 This study offers an entirely new, and slightly subversive, way of reading these texts, for it not only clarifies the existence of the new female hero in these texts, but it demonstrates the subtly radical manner in which each author re-imagined and re-shaped the traditional figure of the goddess Diana. Thus, this book can change the way we see modernism, its heroic characters and structures, its important themes and generic forms, its intricate language and images. During the birth of the modern world that took place during the last two centuries, the revolution in gender ideology fuelled new interpretations of all goddesses and of the revived Greek deities, Diana was the most free-spirited and independent female. There was a singleness of being to her. She was the maverick, the huntress free in the green chase, and this energetic Diana was an excellent choice to be the archetype of a female hero who could rebel against and regenerate a stagnant, old world. Her figure was central to the revolutionary myth-making of 19th-century authors, and in so exploring their creation of this hero, I hope in this study to demonstrate the profound and hitherto unmade connection between women's studies and modernism in literature. Modern literature came more and more to invoke this Diana-hero in the creation of new souls and new worlds. She possessed the will to and the power of action needed to herald the apocalypse, the destruction of the old to prepare for the new world. These powers had traditionally been assigned to male protagonists, and the Diana-hero's assuming them to herself was a revolutionary act. My work also analyzes the new relationship between the Diana-hero and the traditional, but now oftentimes displaced, male hero. There came a radical new hero into our literature, and she persists today. This persistence of the Diana-hero indicates that many authors still need and desire to create heroic women to meet the demands and to cross the new frontiers opened by our on-going social revolutions. This challenged and challenging hero continues to struggle in her quest to be Diana Victrix.